While we don't often look at TVs, Samsung's latest 75in monolith deserves at least a mention. In addition to Samsung's usual array of Smart TV apps, the latest Series 9 also has an in-built HD camera that allows for motion control similar to the Microsoft Kinect. Dual mics also mean that voice control is present for simple commands and the new remote features a track pad to make better use of the web- based applications. A very smart SmartTV. Oculus is an exciting new gaming company that plans to re-invent the idea of 3D, virtual reality gaming, in a much smaller and more elegant form factor. Supported by a number of gaming luminaries, and backed up by an already successful Kickstarter campaign; contributors are already being sent development kits that include the headset and a copy of Doom 3 BFG, which has been designed for the new format. The Oculus Rift headset offers a full 110 degree field of view in full stereoscopic 3D, and early reports say the technology is remarkably mature and very useable. Could actual gaming virtual reality be coming at last? Razer is rather renowned for its range of gaming mice and the Taipan is no exception. Ergonomically designed to work for a variety of grips (including left- or right-handed) the Taipan also features an 8200 dpi 4G Dual Sensor System for greater accuracy. The Razer works with the Razer Synapse 2.0 proprietary mouse software and conveniently connects to a cloud server for automatic syncing of driver and firmware updates and personal settings such as key binds, macros, DPI profiles and more. The Mad Catz S.T.R.I.K.E. 7 is about as fully customizable as a keyboard could be - you can dismantle its five separate sections - including a touchscreen pad - and put them back together whichever way you fancy. The S.T.R.I.K.E. 7's touchscreen can also detect gesture controls for the full Starship Enterprise experience, while the keyboard even comes with some comfy wrist wrests for those long gaming sessions. Of course, all of this has to come at a price, and at an eye-watering $US299, it's certainly not coming in cheap. It is, however, available right now - if you really need the last work in gaming peripherals! Firmly in Gigabyte's mid-range of motherboards, the latest generation of UPS nonetheless brings a lot of useful high-end power to system builders. This is in fact the first of the company's boards to utilize what it calls 3D Power - a new hardware and software driven Digital Power Engine capable of delivering an incredible degree of control to power distribution. Also on offer is new 3D BIOS technology, Ultra Durable 5 build quality, 3-way CrossFire and SLI capability, and Bluetooth connectivity. Twisters, you say? Tornados, party games, KFC wraps, Chubby Checker? Nope, 140mm is just too small, although we quite like the idea of Pocket Chubby Checker In this case, we're talking about Enermax's fans based on its patented 'twister' bearing, which uses a magnet and metal ball to keep the fan blades on the shaft. The ball is the only point of contact between the shaft and the rotor, resulting in a quiet fan with smooth operation. Enermax has just updated lots of its fan line-ups based on the bearing with 140mm models-ideal for pushing out plenty of air without making too much noise. 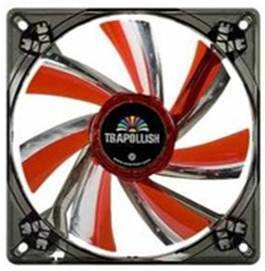 Five new 140mm fans have been introduced, from the $14.85 fixed-speed (750rpm) T.B. Silence to the $20.85 Everest, which includes a thermal sensor. The fans are available to purchase now. Memory maker ADATA has just launched a new top-end line of 2,400MHz RAM (19.2GB/sec bandwidth) as a part of its XPG Gaming v2.0series. 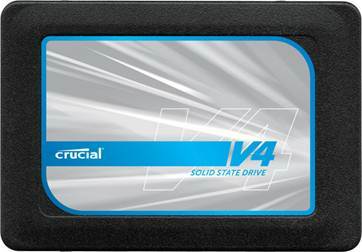 Available in an 8GB (2 x4GB dual-channel) kit, ADATA says the memory will run at latency timings of 10-12­12-31 at 1.65V, and that it also supports Intel's Extreme Memory Profile (XMP) system. The memory also has an eight-layer PCB containing 2oz of copper, in order to remove as much heat as possible from the chips. The kits are available now at selected retailers for $134.98 inc VAT. If you’ve managed to get your hands on a Raspberry Pi, or are on the waiting list, then you may be wondering what to do with it. We’ve had some of our own ideas, including installing Debian, using it as a NAS box and making a mini media center, but here’s another idea - install Android on it. 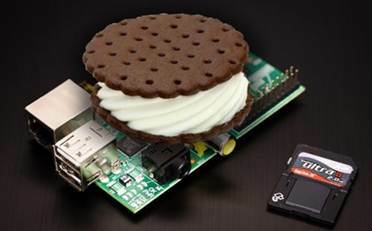 Raspberry Pi has just announced that support for Android 4.0 (Ice Cream Sandwich) is on its way, and demonstrated a video of it in action on the Pi. 'Hardware-accelerated graphics and video have been up and running smoothly for sometime, ’says the company. 'AudioFlinger support is the only major missing piece at the moment’ Could this mean there’s potential to make your own tablet? We’ll be watching this space intently.